Nothing puts a spring in one's step like some French pop, amirite? I like to pretend I know what they're saying and just gibberish my way into a Franglaise sing-a-along. 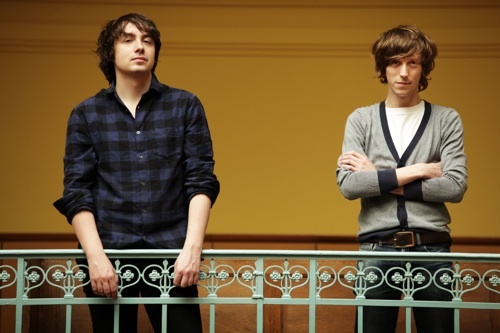 Housse de Racket will hook you up with some nice snappy tunes, like "Oh Yeah!" It's not a new release or anything, but it's kinda new to me. I first heard one of their English songs ("Roman") and then found this gem, which is much more peppy. Their whole album is quite a grab bag of different genres and vibes, but I enjoy. I also enjoy that their band name is inspired not only by house music but also by.... tennis!